God released creativity before when songwriters got together in a spirit of humility and collaboration. It happened every time. Hearts healed. Spirits full. Songs written. But this was the first time we ever tried it cross-culturally. 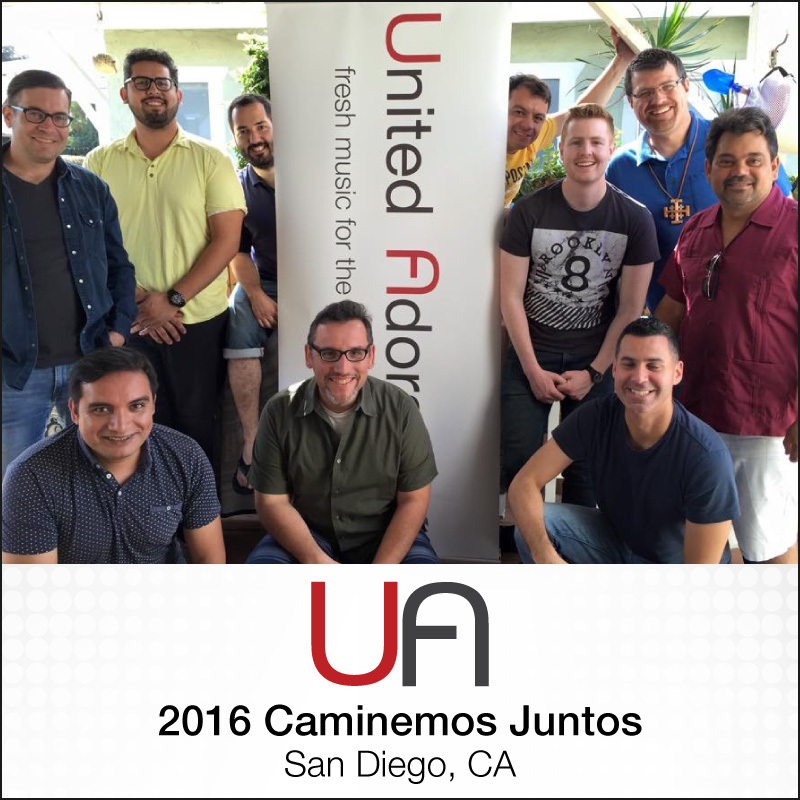 In the summer of 2016, United Adoration (partnering with ¡Caminemos Juntos!) 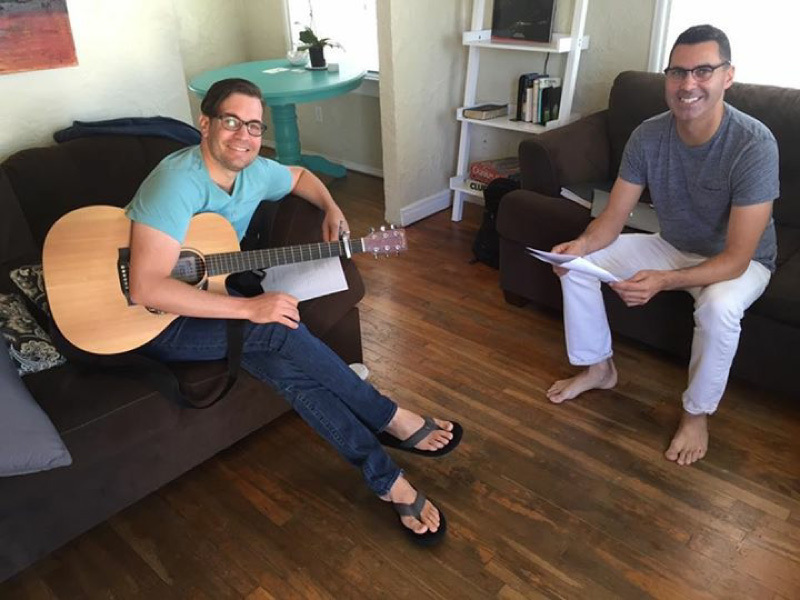 brought together writers from two continents in San Diego for this grand experiment: Could perfect strangers from different cultures and languages write songs of worship that would fuel mission and healing in the Americas? Some of us only spoke Spanish, some English, some both. Some were professional musicians, some amateurs, and some were not musical at all. We had only this in common, the love our Lord Jesus Christ, the love of worship, and the desire to see His mission flourish. Something in that moment shifted from a “what do we have to do” to “what adventure is God asking us to embark on together.” As we were worshipping that morning, we prayed and ask the Lord what songs He would like for us to write. At that moment, Victor had a nudge from the Holy Spirit about a song he was supposed to help create. The problem was Victor was only there at the retreat to be a translator. He isn’t a musician. He doesn’t sing. He doesn’t write songs. As the attendees broke off to start the process of writing, Victor found Max. Max was a talented musician from Chile and agreed to help him work on his song. More stories like this started to take form around the retreat as we spent one and a half days together worshipping, writing, and getting to know one another. At the end of our short time together, friendships and partnerships were forged and 10 fresh songs were written. The retreat was tagged on to a ¡Caminemos Juntos! 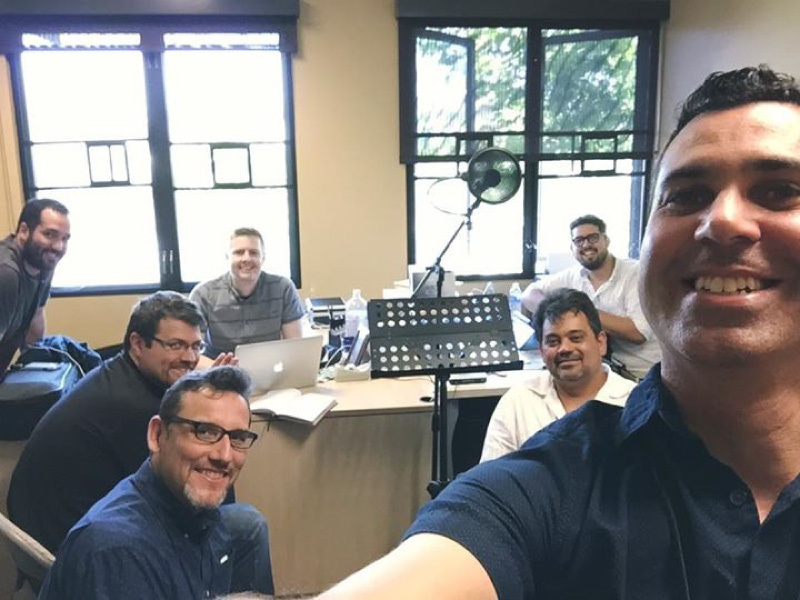 conference for church planting in the Americas. 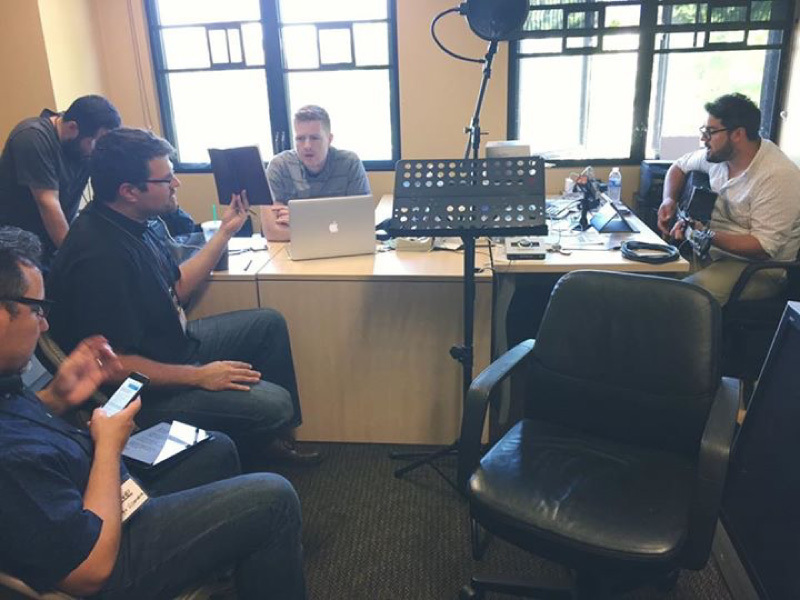 Part of the goal for the retreat was to write some songs that would be sung at the conference. During the first worship night, the team led 100’s of church planters and missionaries in Victor and Max’s song, Ven Espiritu. The whole place erupted into worship, singing the song as if they had heard it before, as if the song was the cry of their hearts. The Holy Spirit did come and the song deeply impacted the conference. And in the very back of sanctuary, the Holy Spirit was deeply impacting Victor and Max. That night had changed everything. Unbeknownst to the writers, after the conference, the songs traveled throughout the Americas, being sung in local congregations in many countries. As time went on, we began hearing stories of the songs fueling mission and even being anthems for healing within divided churches. It certainly wasn’t what was expected. But once again, as God brought together songwriters (from different cultures, languages, nations, worship styles) for his glory, he unleashed new songs and anthems through a church united. It was a major pivot point for United Adoration. It helped us realize a major part of who we are. 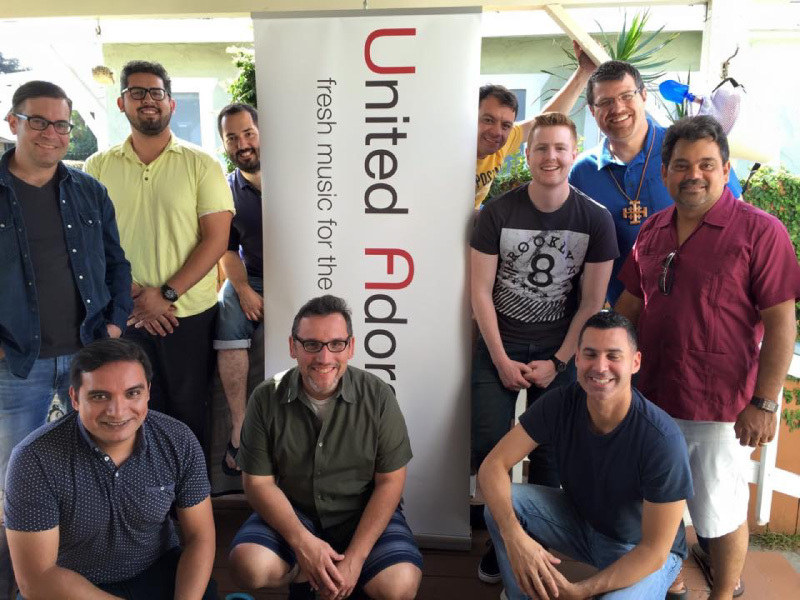 United Adoration exists for the transformational healing and mission of his Church around the world.